I can't believe it's already time to start planning winter holiday activities! 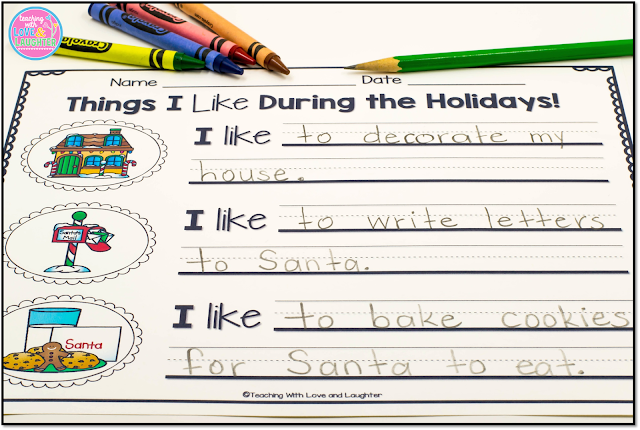 I like to have plenty of fun and engaging activities for the children to do independently, because we all know that it is extra hard to keep children engaged while visions of sugarplums dance in their heads! The following holiday language activities for little learners can be found here. They will surely keep students challenged and on task. They won't even realize it's school work! 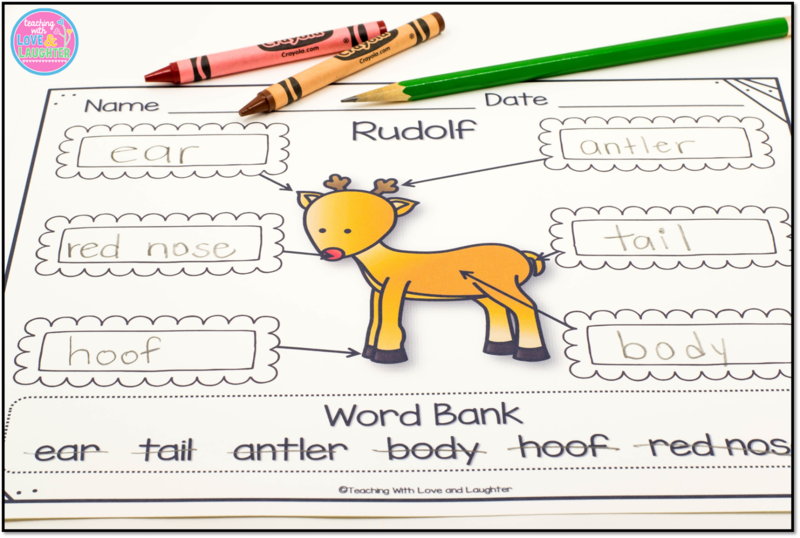 I included a colored version that you can put in page protectors and students can label Rudolf with a dry erase marker and a black and white version so each student can have a copy. Two different writing templates are also included, so students can write about Rudolf, using some of the words they used to label him. 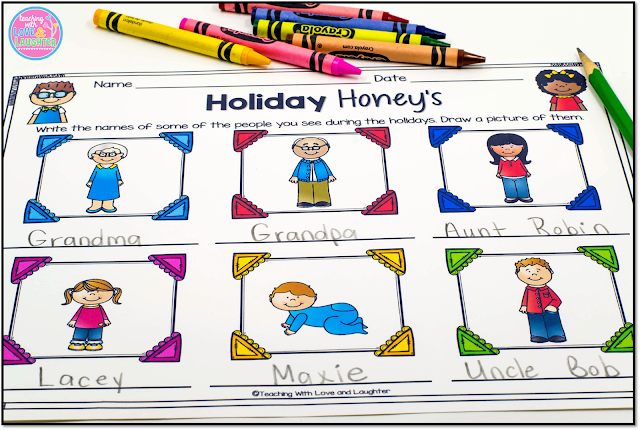 Students will enjoy drawing pictures of and writing about things they like during the holidays. I also included a template with solid lines, instead of the handwriting lines. Who will the children see or hope to see during the holidays? Students write their names and draw a picture of them. 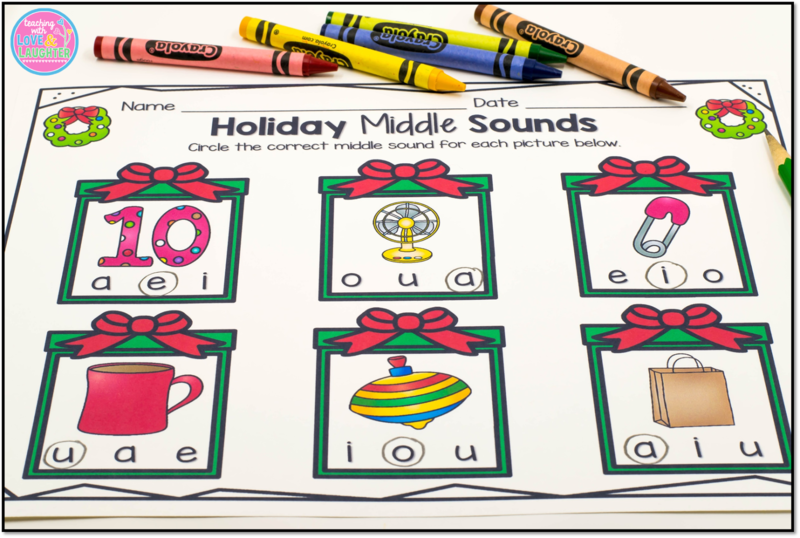 Students unscramble six sentences and write them on the recording sheet. 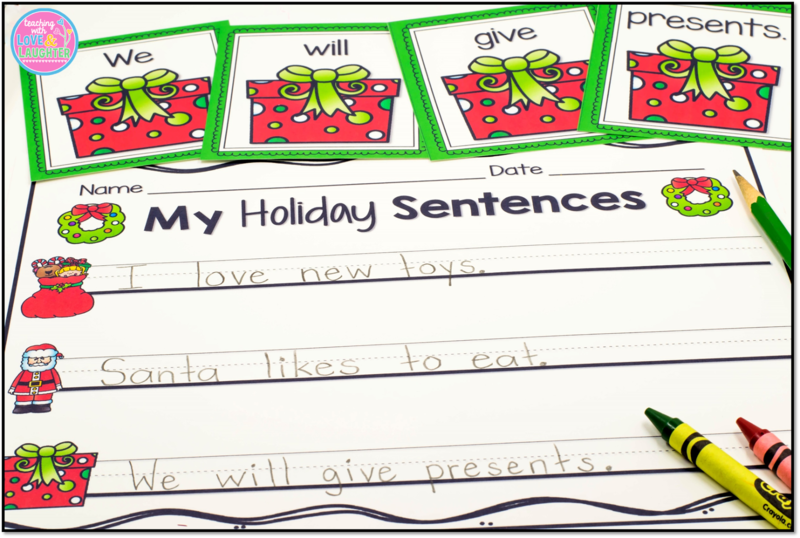 I included sentences about Christmas and Hanukkah. A black and white version is included, as is an answer key. 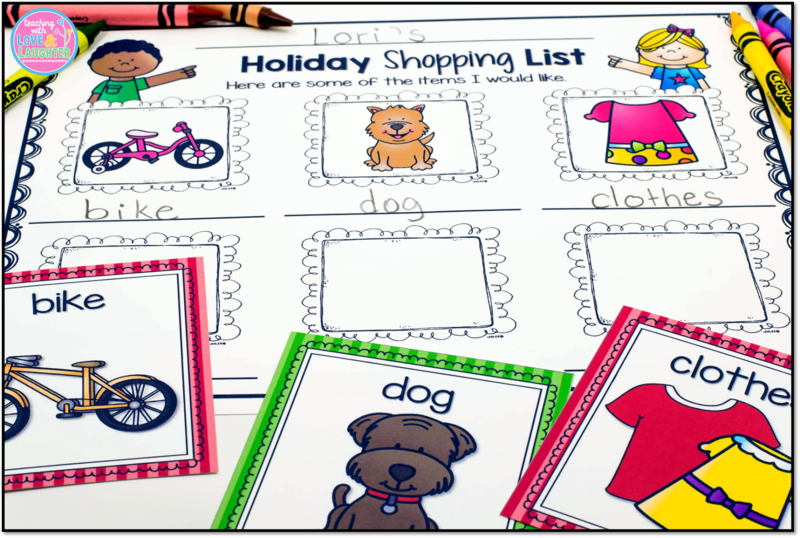 Students use the 24 colored or black and white picture/word cards to make a list of things they'd like to receive for the holidays. Then, they draw a picture of each item. 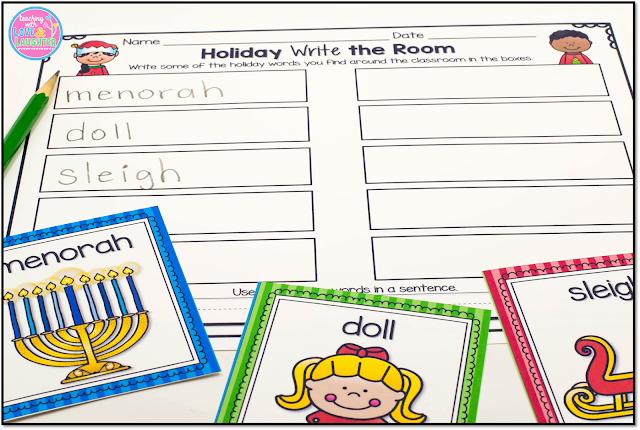 You can hang the word cards around the room and have students walk around with their recording sheet on a clipboard. Or, you can place the picture/word cards at a station and students choose words to write. There are two different versions of the recording sheet. The one not pictured has a space for students to illustrate each word. The 18 cards come in color and black and white. There are also two writing activities included, one for Christmas and one for Hanukkah, which are not shown above. Click on the image below to find these activities in my store! 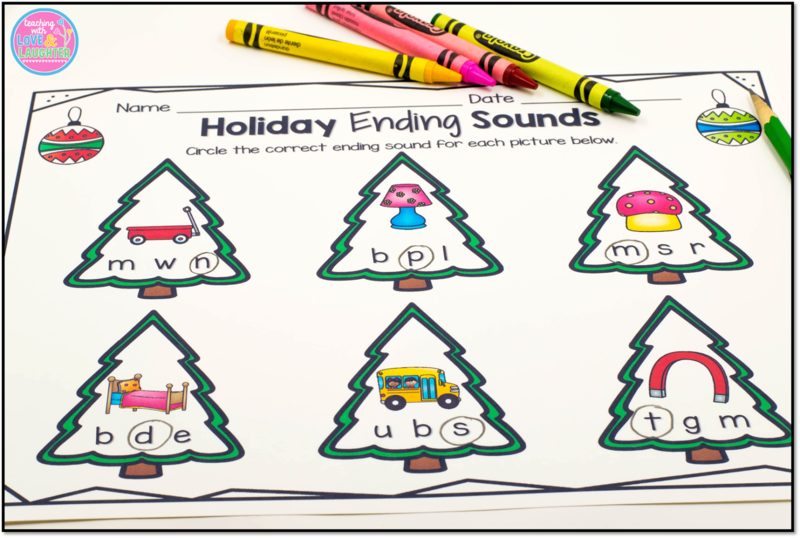 Need some holiday activities for first or second graders? Click here or on the image below to see these activities in my store. These activities will really make it easy for you to plan your holiday centers. Prep them once and enjoy them year after year! What wonderful resources and center activities! Thank you so much for saying so! And for stopping by! Hope you have a very Happy New Year!